Gyeong-sook (Shim Eun-Kyeong) hates her father Jae-su Jo (Jung Bo-Suk), a "janggu" (Korean drum) player, he mingles with ladies and spends his time drinking instead of taking care of his mother, wife and two young daughters. When the war finally breaks out, the ruthless father runs away, leaving his young daughter to look after the rest of the family. 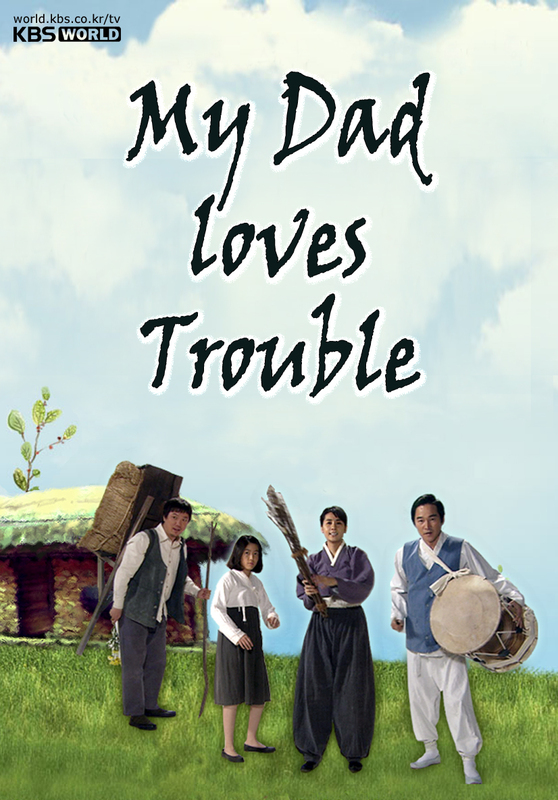 "My Dad Loves Trouble" will take over the KBS2 time slot previously occupied by "The Land of the Wind" and followed by "Again, My Love" on February 4, 2009.